If you're looking for a soft, pillow-like sleeping experience, this isn't for you. But if you're looking for a mattress that offers good support and is still extremely comfortable, this is a fantastic option. I am a male athlete with a more dense body than the average person- meaning high muscle to body fat percentage. I've noticed over the years What made me decide on the HIBR brand was the fact that it is targeted to an athlete's recovery. The first few nights took some getting used to as my coil mattress was very old and out of shape. A week later, I am very pleased and getting great rest. I definitely notice a difference in less stiffness each morning, deeper sleep, and just overall more comfort lying in bed. The bed is firm, but not too firm, and just soft enough to where I don't feel like I'm laying ON TOP of the bed, but rather slightly enveloped. The foam does not make huge indentions, which is nice because you don't sink in. It will be interesting to see the life of the bed and if it is worth the investment. The way it shapes around you is subtle, but I woke up this morning having slept better than I have in YEARS. The cover of the HIBR mattress has a nice soft feel and also provides breathability. The HIBR does a very good job at not sleeping hot due to the gel foam construction they utilize to help minimize heat retention. The HIBR didn’t make us feel sticky or sweaty, which is often a problem for us as a couple with some traditional foam mattresses. Much better than most that we have tried by far. This mattress provides good pressure relief as you sink in quickly to the top layer. If motion transfer is an issue this mattress handles that well. The motion transfer on this mattress is wonderful. I could not feel my spouse move around at night and nor could she feel my movements. It was like we had our own separate beds to ourselves. 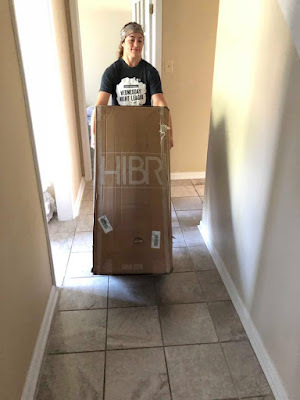 You can order the HIBR mattress direct from their website. It should arrive in a week and come in a box just like other companies I have reviewed. HIBR mattress trial period is 100 night. I love the HIBR RF Signature Series Mattress. It really does have a great feel. Firm and supportive but soft and cloud like at the same time. And I do feel better when I wake up after a deep sleep with many fewer aches than my old mattress so there may be something to the althete/recovery claim. If you are having a hard time making a choice, feel reassured that the HIBR is awesome! Additional Testimonial From Taylor J. "I am a night shift nurse who enjoys the high intensity training of crossfit. Being able to sleep is an important aspect for body recovery, especially after a difficult 12hr shift. Previously I had been sleeping on a traditional mattress. When I would go to bed my aching muscles and joints would keep my tossing and turning all night or day. After receiving my Hibr mattress I have noticed a dramatic change in the quality of my sleep. The 4 different layers allow my body to be cushioned and supported simultaneously. 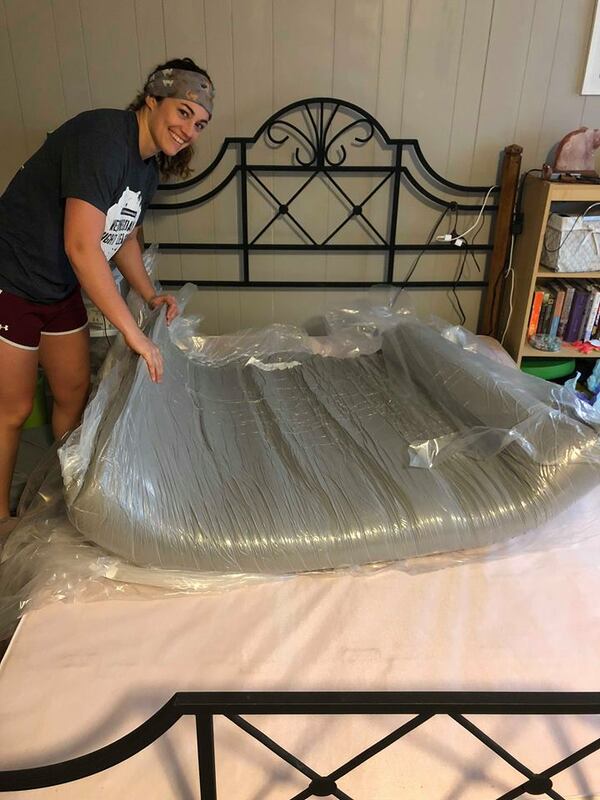 Some tradition foam mattresses sink half your body down into them and loose their elasticity over time creating large body indents in the mattress. But the Hibr mattress foam layers hold the body in a relaxing manner without the sinking effect of other foam mattresses. Compared to other foam mattress that tend to trap heat the Hibr allows heat to dissipate, keeping the body at a more conducive temperature for sleeping. Needless to say I have been sleeping deeper and much more peacefully"
Recently, I happened to pass through Choosethebestmattress.com and it helped me to read mattress reviews, so it became easier for me to choose budget-friendly mattress that suits my needs. It is safe to say that you are searching for markdown beauty products,Lucy Liu Face Cream yet can't discover them?